There are previous posts regarding the importance of internships to launch your accounting career. Now that we realize the importance of obtaining an internship, I’d like to discuss some things you can do to prepare for your interview to help you land that dream internship! What to wear to an interview can be tricky! For men, a nice suit and tie accompanied with polished dress shoes is always the safe way to go. For ladies, there tends to be more options. Nice dress pants or a long pencil skirt is usually acceptable. Make sure to choose a top that does not show too much cleavage and pick a blazer that matches the color of your pants or skirt. As a general rule, the more conservative, the better when picking interview attire. You do not want your interviewer to lose focus on the things you are saying because of something you are wearing. This rule applies to clothing, shoes, and jewelry. And of course do not forget basic grooming. Make sure your hair is brushed, nails are clipped and nothing is in your teeth! Many school career centers offer mock interviews. This is an extremely beneficial resource because it simulates a real interview with your company. You should take the mock interview seriously. Show up dressed in your interview attire and bring the things that you would bring to the real interview. Your mock interviewer will ask you questions similar to the questions that will be asked during the real thing. The most useful part of the mock interview is the feedback that you will receive afterwards. They will give you tips on how to fine tune your answers, improve your appearance and demeanor, and tone down nervous habits that you may not even realize you are doing, such as twirling your hair or twiddling your thumbs. After practicing in a mock interview, you’ll have the confidence to do great in your real interview! My final piece of advice is to relax and be yourself. Most of these companies just want to see if they can get along with you and if they can picture working long hours with you. Most of these interviews will be more conversational rather than testing your accounting knowledge. So just take a deep breath and be sincere. 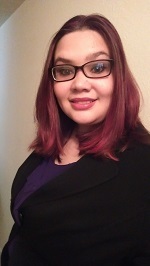 This entry was posted in Amanda Guajardo and tagged Accounting, Accounting Careers, attire, internships, Interview. Bookmark the permalink.